CHICAGO – More than 100 events are scheduled nationwide tomorrow for National Women and Girls HIV/AIDS Awareness Day, including several here to empower people to address the issue. Luvvie Ajayi is the co-founder of The Red Pump Project, a national HIV/AIDS awareness group that has organized several hundred bloggers to write about HIV/AIDS awareness tomorrow. 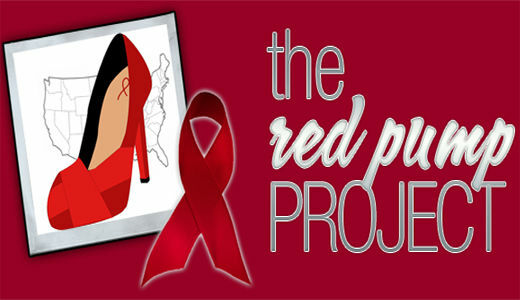 The group has asked bloggers to post its “Rock the Red Pump” logo with their stories. The symbol represents the strength and courage of the women fighting HIV/AIDS and of those impacted by the disease. Ajayi said her group is also hosting a Twitter town-hall online discussion so people can talk openly about how HIV/AIDS affects women and girls. Men can join in too by wearing red ties, she said. “The disease is affecting too many women and especially women of color,” said Ajayi. Ajayi’s group is hosting a fashion show March 25th called “Rock the Red: Bold. Fashion. Awareness,” which is part of the national initiative headed by the U.S. Department of Health and Human Services Office on Women’s Health. To learn more about The Red Pump Project go to: www.theredpumpproject.com. Activists say HIV/AIDS among women and girls in the U.S. is on the rise and an estimated one in four Americans living with HIV are women. Every 35 minutes a woman tests positive for HIV in the U.S. The current struggle for health care reform is a major issue for people living with HIV/AIDS. Juana Ballesteros, executive director of the Greater Humboldt Park Community of Wellness on the city’s north side, said the predominantly Puerto Rican neighborhood she works in is one of the highest ranked HIV/AIDS areas in the city. “We need very specific intervention programs targeted for women because so many factors play a risk,” she said. 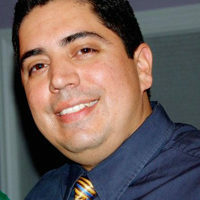 Ballesteros said a big problem in the Latino community is how women react to the power difference with men when it comes to using a condom. “We have to begin the conversation with girls at a very early age so that they know how to protect their bodies especially as they grow older,” she said. 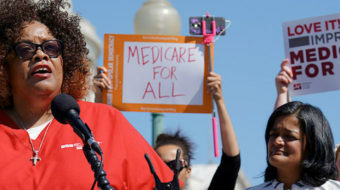 AIDS, which has a particularly devastating and disproportional effect on women of color, is the leading cause of death among Black women between the ages of 25 and 34. Though progress has been made in AIDS prevention and treatment, women still represent 27 percent of all new diagnoses and African American women account for an overwhelming 66 percent of that group. Most women are infected with HIV through heterosexual contact and injection drug use. Activists urge people to know their status by getting tested. People need to practice safer methods of preventing HIV and know the facts, they add. And People should think twice about engaging in high-risk behaviors and should talk about HIV prevention with family, friends and colleagues.